Happy Chef Cutlery review and GIVEAWAY! 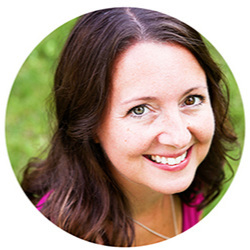 — Pip and Ebby - easy, delicious recipes! First, let me tell you about the Happy Chef Cutlery 3-Piece Damascus Knife Set that I had the pleasure of receiving in the mail. 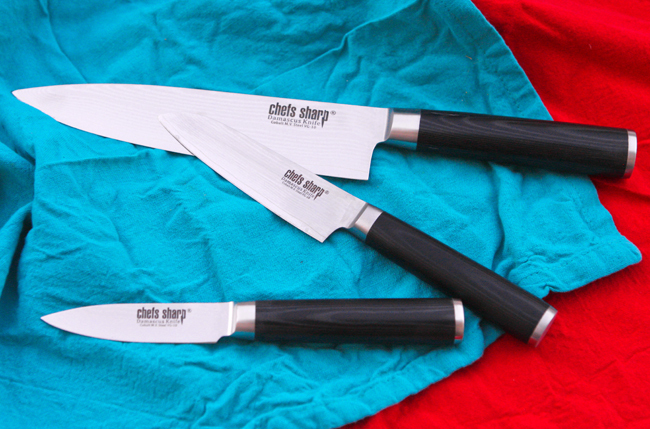 It includes one 8-Inch Chef Knife, one 5-Inch Santoku Knife and one 3.5-Inch Paring Knife. I am seriously in love with these knives. My other knives are collecting dust on the corner of my kitchen counter while I chop and slice and dice in steel-blade style. These babies are sharp and I love sharp. Isn't it great when a non-serrated knife slices through a tomato skin like it's butter? The Chef Knife pleasantly surprised me the other day when it sliced right on through a tomato with a clean break. The durable, wood-grain handles feel super comfortable in my hand, unlike any knife I have held before. Yes, people, even the handles impressed me. The Santoku Knife has quickly become my favorite for chopping, slicing and dicing the smaller tasks. I love the size of the blade and the precision of its cuts. The Paring Knife does an excellent job peeling apples, coring tomatoes and slicing cheese. But hands down, my favorite of the set is the Chef Knife. It is an all-purpose staple that should belong in every kitchen. It can power through the larger tasks with ease such as deboning meat, but also perfectly minces garlic. And everything in between. So there you go. 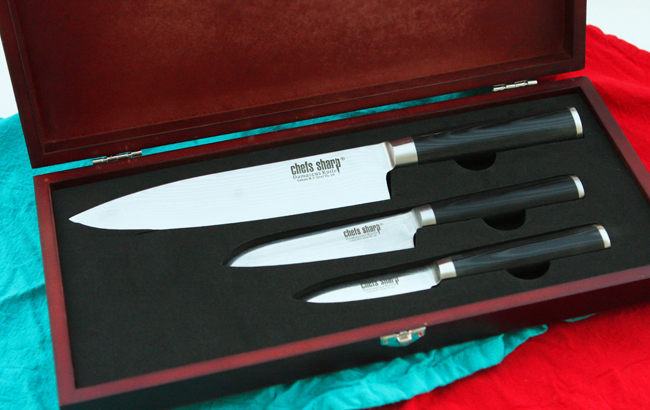 One 8-Inch Chef Knife is up for grabs (not the entire set, as pictured), courtesy of Happy Chef Cutlery. Leave a comment on this post (not on Facebook) telling me why you would like to receive the knife. Or tell me what you plan to chop first if you receive it. Be funny and creative. Make me laugh. I need a good laugh after the week I just had. My favorite comment will be the winning one. I will choose a winner and close the comments on Tuesday, October 7th at 7:00 am. GOOD LUCK! Happy chopping!